Home / Articles / Conspiracy Theories / Is a U.S. Air Force general from Wright-Patterson helping Tom DeLonge obtain official UFO disclosure? 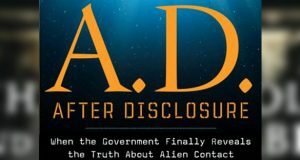 Is a U.S. Air Force general from Wright-Patterson helping Tom DeLonge obtain official UFO disclosure? Now that the election is over, so is the leak of emails from Hillary Clinton’s campaign manager, John Podesta, by WikiLeaks. Many of his emails discussed UFOs, a topic Podesta has shown interest in, and one of the most intriguing, and revealing, strings of UFO emails was regarding a Google Hangouts meeting Podesta set up with rockstar Tom DeLonge, two USAF generals, and a VP from Lockheed Skunk Works – the guys in charge of Area 51. 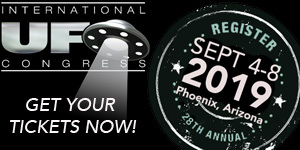 However, now that the leaks are done, and looking more closely at the UFO emails, it is not just shocking that these men attended a meeting about UFOs, but, apparently, one of the USAF generals has been advising DeLonge on his project to reveal the government has back engineered alien technology. DeLonge has even implied that the general told him the U.S. had found an alien body. It is surprising enough people in the government would be working with DeLonge on a UFO project, but it is even more surprising what he says they have told him. 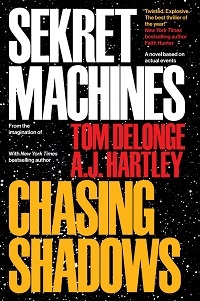 DeLonge says he based his recent fiction book, Sekret Machines Book 1: Chasing Shadows, on the information they fed him. 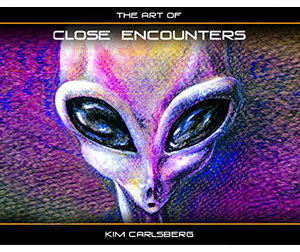 The book is about the government’s decades long project to back engineer alien technology and hide it from the public. Who approved him to say this, and who are his sources? Until the Podesta UFO WikiLeaks, we had no idea who these people were, if they were really with the government, or if they existed at all. What we found in the WikiLeak emails is – well, I have used the word a couple times already, but it fits – shocking. It turns out DeLonge was having conversations with insiders. As we wrote about in the article on the Google Hangout UFO meeting, and mentioned earlier, but of particular interest for this article is the general from Wright-Patterson Air Force Base, Major General William N. McCasland, who we know from the WikiLeaks emails, goes by Neil. McCasland’s USAF bio says he is the Commander of the Wright-Patterson Research Laboratories. One could just shrug McCasland’s participation in the meeting aside, and speculate that he may have attended to humor DeLonge and Podesta. This point of view could be supported by a follow-up email from DeLonge to Podesta, in which DeLonge seemed disappointed by McCasland’s participation. This statement is similar to statements he has made in interviews, including on the popular late-night paranormal radio show Coast to Coast AM. However, there was another general in that Google Hangout meeting, who appears to have been working with DeLonge for awhile. That is retired USAF Major General Michael Carey. According to his USAF bio, Carey was the Special Assistant to the Commander, Air Force Space Command, Peterson Air Force Base, which is also the home of NORAD. Petersen is at the base of the famous Cheyenne Mountain. In this later email, DeLonge mentions he is going to meet with officials from Air Force Space Command. That makes it likely Carey was the one who sent the pointers regarding the memo. Carey also seems to have an interest in the topic, he even submitted a book review for Sekret Machines, that can be seen on the book’s webpage on Amazon.com. I should also note that the other VIP attendee of the Google Hangout meeting, Executive Vice President & General Manager Advanced Development Programs (Skunk Works) at Lockheed Martin Aeronautics Rob Weiss, also showed a bit of follow-up interest in the meeting. In an email from DeLonge to Podesta dated February 22, 2016, DeLonge says he received an email from Weiss asking if there were any updates. So what is going on here? DeLonge is not just blowing smoke, he has had high-level meetings. But can we believe that McCasland has told him the USAF recovered an alien body and is back engineering alien technology and is helping him assemble a team to reveal this information to the public? Grant Cameron of PresidentialUFO.com says yes. 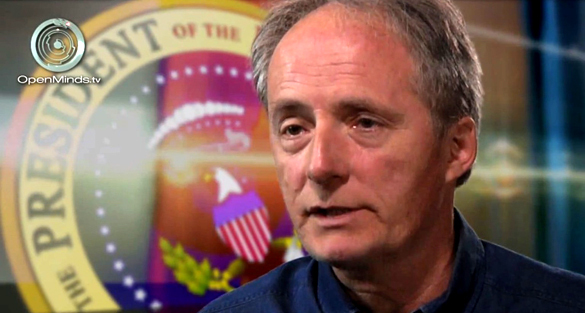 Although he is a Canadian, Cameron has been looking into the history of U.S. Presidents and the UFO topic for decades. He believes the U.S. is holding UFO and alien secrets and that the U.S. Presidents are briefed on the situation. Further, he believes there has been an ongoing project to slowly feed this information to the public and DeLonge must be a big part of a phase to this project that is coming to fruition. Cameron says as soon as January we may receive a big piece of information. 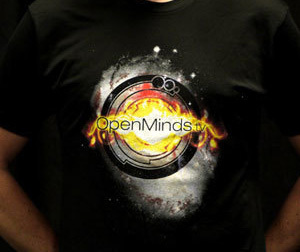 Cameron and I debated his perspective on a recent episode of Open Minds UFO Radio. Another perspective is that DeLonge is falling prey to a USAF program to disperse disinformation. 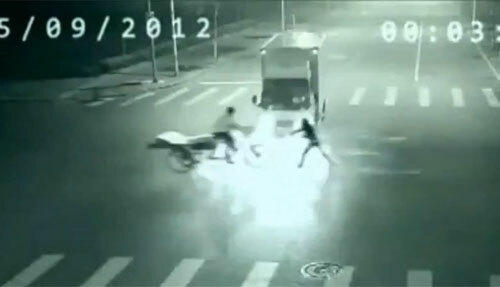 This may seem farfetched, but there have been other credible claims of this happening. In at least a couple other occasions the USAF has approached the media telling them they will give them exclusive proof of alien visitation, and then backing out. Strange behavior, but it has been documented. 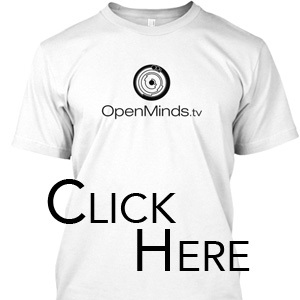 At OpenMinds.tv, we have examined one of these cases very closely. You can see an investigation of that case below. In DeLonge’s case, perhaps they were not planning on WikiLeaks, and/or the Russians, outing them. Robbie Graham, author of a book titled Silver Screen Saucers: Sorting Fact from Fantasy in Hollywood’s UFO Movies, has been examining this later possibility in articles on the website Mysterious Universe. Of course, the possibility I originally posited, that these men are humoring DeLonge, could be what is happening. 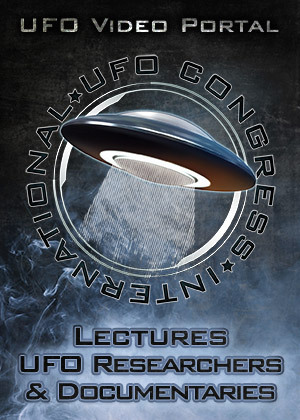 Perhaps they are interested in the topic, they really don’t know much about UFOs, and they want to get people interested in the topic as well. But why? To generate interest in science? And if that is the case, then what about the claims that McCasland, or someone else, is telling DeLonge we have an alien body and back engineered alien technology? Is DeLonge lying? This, to me, is a fascinating mystery. If DeLonge is right, we should know more soon. Or, if history repeats itself, the USAF will not go through with providing DeLonge anything of substance. Perhaps they will even use the email leaks as an excuse to stop working on his project altogether and either deny, or just refuse to speak about, their involvement thus far. 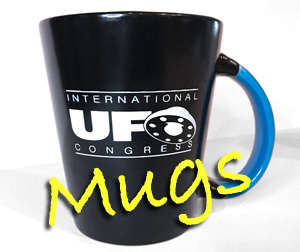 Either way, since the cessation of Podesta WikiLeak drops, the matter seems to be drifting off into obscurity, even among UFOers. However, it is a matter which likely is not finished. DeLonge appears to be forging ahead, as are Graham and Cameron. Normally we could say time will tell who was right, but in matters UFO, often, confusion, unanswered questions and enigma are all we are left with. Special thanks to Elephant in the Room. I will make my decisions that pertain to FA whether or not I am willing to release UFO data to the mainstream public when I’m ready to. Cmon folks, doesn’t all this sound a little too-good-to-be-true kind of things? UFO Disclosure done solely by, and excuse me if I giggle, Tom Delonge? This will inevitably turn into a fictional book or movie that will make Tom Delonge a lot of money. Or not. But my point is that these top-tier generals and the supposed Area 51 guru could be leading these efforts and Tom doesn’t even know it. These military men, if indeed real, are master manipulators who have lied to us for 70 years! And they’re just gonna let an ex-rocker lead the Disclosure effort? Not likeley. the ufo that crashed near Roswell was like our Drones and there were No Aliens in the craft, We do not who sends these things into our air space or where they come from, All we know is that they come and go at will and we cannot stop them. KGK is right on the money! 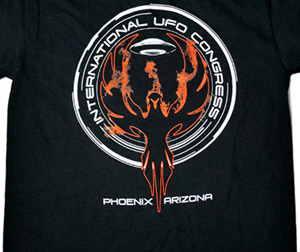 This is another cleverly orchestrated disinformation program to further discredit Ufology and Tom DeLonge, the popular rockstar is the unwitting pawn in the military intelligence’s disinformation campaign which has been targeting UFO organizations and Ufologists for decades. Tom DeLonge is not an experienced UFO investigator but an innocent victim of a malicious agenda who happened to inquire into the Wikileaks of John Podesta and Hillary Clinton’s plan to go public if she had won the president’s office. This drew the attention of two USAF generals and a VP from Lougheed Skunkworks who gave DeLonge some truths but, many lies were sandwiched in between the truths. We haven’t seen this type of information manipulation since the “80s with Paul Bennewitz being targeted with a series of disinformation and lies which eventually lead to his eventual mental breakdown. 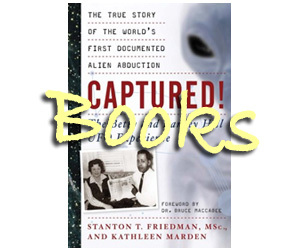 This targeting of individual researchers and UFO organizations by the military and the intelligence communities has been going on for decades. 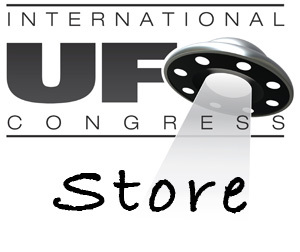 It is no wonder that the UFO Community has been ghettoized and made basically impotent as its UFO database is corrupted both from within and from without and is in need of a serious overhaul! 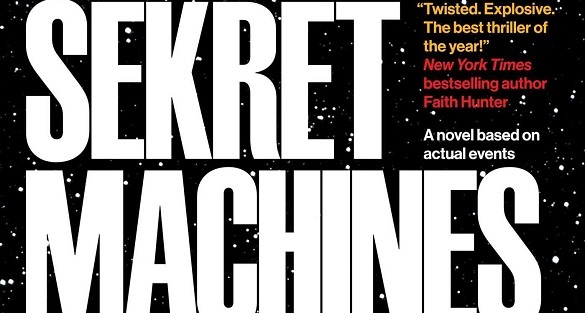 Tom DeLonge new book is more of the same disinformation, misinformation, lies, denials and obfuscations fed to him by the power plays within the government, the military and the intelligence communities. You would think that the power players of disinformation would be contacting people like Dr. Steven Greer or Stanton Friedman or Dr. Jacues Vallee, etc or similar people who have been around for some time and who know the ploys of the military and intelligence agencies. The fact that they didn’t, speak volumes and the red flags of alert rise over Tom Delonge as being played as an unwitting patsy! I would have to concur with the other commentators, Delonge seems like an unlikely candidate for such a momentous reveal. If you were going to use someone from pop-culture to inform the youngsters, how about someone who is actually ‘young’ and popular. 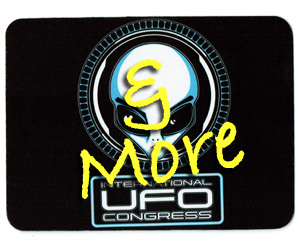 recently a british ufo investigator was murdered , he had been asked to speak or attend a polish ufo conference. odd circumstances and he did tell his mom “if anything happens to me, investigate” she is trying. there have been disclosures, recent. it is a live area and sometimes a deadly area of investigation. i think the reverse engineering began long before roswell and corona,nm. 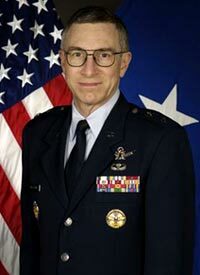 A word of caution from somewhat authoritative sources about former AFRL Commander General McCasland and AFRL ‘alien technology’. 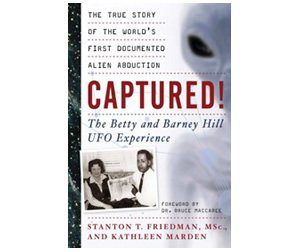 As a 40 year employee of AFRL and its predecessors, and the author of the non-fiction book Fifty Shades of Greys: Evidence of Extraterrestrial Visitation to Wright-Patterson Air Force Base and Beyond, I offer the following words of caution regarding the article. Do not assume that General McCasland had access to all of AFRL’s information just because he was the Commander. Everyone from the US President on down is subjected to the “need to know” clause. If you do not have “the need to know”, you won’t be told. 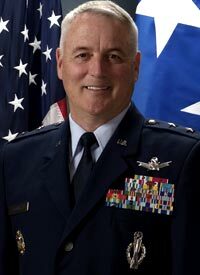 Bottom line, one cannot assume General McCasland (retired) has any AFRL ‘alien technology’ information (if it exists) just because he served as AFRL Commander. The same applies to everyone else who does not have the need to know. To the couple of people who seem to think that Delonge’s intent are for profit (or even fame), you clearly haven’t done any research at all on the man. First off, he’s had a passion for stuff like this for years. You can go back and watch videos from 20 years ago and hear him talking about it and how closely he follows everything. My point is that he’s not looking to make a quick buck by cashing in on the topic. He’s had a well known interest in this subject for a long time. Secondly, a quick search for net worth should answer the question if he’s in this for the money. I know that net worth data is typically exaggerated or sometimes just wrong, but even if he is worth half of what’s stated, it’s enough to realize that he’s not someone who is involved simply for the monetary gains. I mean when you have a large amount of money (compared to us normal people), there are countless ways you can invest that will actually increase your wealth. And I’m sure they would obviously have better returns than the UFO field. Knowing all that, I think we’re pretty safe from getting “taken for a ride” from Tom himself. However that doesn’t mean that he isn’t being fed false information purposely, though I’m hopeful that’s not the case. The fact is that as interest in UFOs and like the grows, even the all mighty government knows that sooner or later the public will start to figure more and more stuff on their own, so why shouldn’t they give him a few pointers to make sure he’s heading the right way. 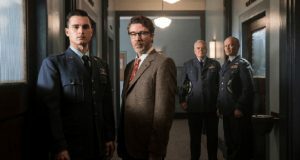 Since his work uses fiction as the means to tell the story, the top brass would seemingly have a great opportunity to divulge some information that would help accelerate the release of information that will get out one way or another over time. Something that I think is very important to note from all of this is that Delonge’s audience (the people he’s targeting) aren’t your typical, conspiracy nuts who can’t shut-up about reptilian Illuminatis who live on the sun, work at the post office, and won’t stop controlling their minds. His audience is young adults that were introduced to him through music 15 years ago or so and are in their 20’s to mid 30’s. These are the people who grew up with new planets and solar systems being found all the time, and they realize just how dumb it is to assume we’re the only intelligent life in the universe. 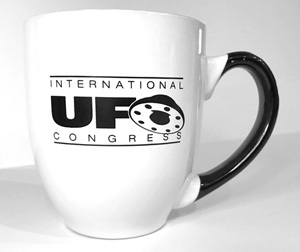 These are the people who will do important things with this information and lead us into a new era of understanding for things like UFOs, alien life and many other topics. I’m really interested to see what comes next for this project, and would like to remind everyone that Delonge has stressed that we be willing to read between the lines and understand what he presents, even if it doesn’t directly appear to be the information that we’re hoping for. Has Delonge every said if he is paying any of these flag officers? Lots of former senior military officers work as paid consultants for a wide range of clients. Many clients pay for the credibility they believe the addition a retired senior officer will give their businesses, but in fact significant contributions made by these officers are often minimal. More often than not they are selling their names and possible connections, but very little else. Ugh…inaccuracies make me crazy when it comes to such an important topic. First of all, Area 51 is NOT run by Lockheed Martin or their Skunkworks division. Lockheed is; however, an onsite contractor at that range (and other ranges in the area). 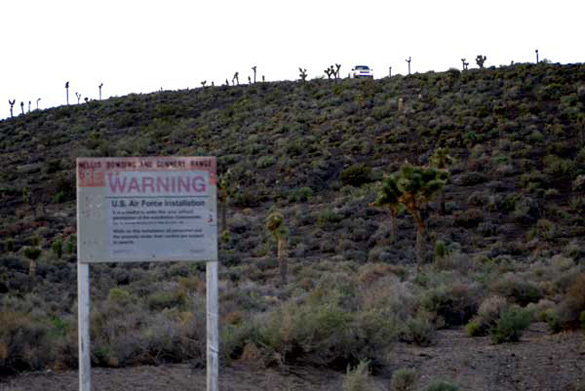 Area 51 is run by the biggest spooks of all…the U.S. Department of Energy (DOE) in partnership with elements of the Department of Defense (i.e., the USAF). 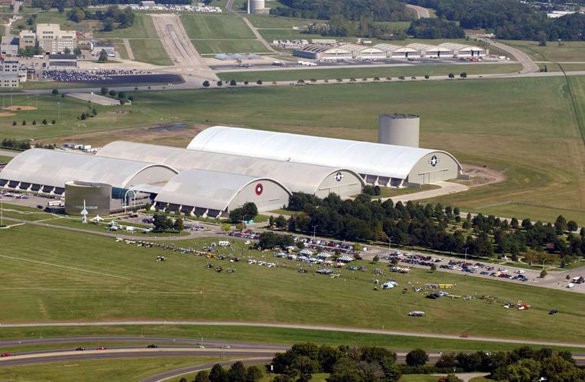 Secondly, the picture that you have of Wright-Patterson AFB is actually an image of the National Museum of the USAF. That facility is connected to Area B of Wright-Patt, but is not an “operational” part of the base (I literally work across the street). Little inaccuracies like that draw credibility of information away from this article (for me, anyway), as I am unwilling to just accept information tossed at me in this manner (especially when it contains so much unsubstantiated information). But…since we’re going for opinions here…YES…we’re being prepared for disclosure. DeLonge is either being used as a pawn in a bigger game, or is in on the game (I vote for the first). I don’t even know why we’re having this conversation anymore–it seems a foregone conclusion that there are extraterrestrials, that they have been interacting with humans for millennia, and that we’re all about to learn (portions of) the truth. It seems more important now to focus on the manner in which the world is told, and to distinguish (as much as possible) the lies from the new truths. @Christopher, I think this is more of a semantics issue than accuracy. Much of the operation of Area 51 is unknown. However, in the documents we do have regarding Area 51, we know Lockheed was tasked with building it and the projects we are aware of, Oxcart, Have Blue, etc., are Lockheed aircraft. So while it is not a Lockheed facility, and was built for the CIA, I do not think it is a stretch to say a VP of Lockheed Skunkworks would be one the guys in charge, which were the words I used. As for the picture of Wright-Patterson, the museum is at Wright-Patt and the background is the base. It is one of the more interesting pictures of the area, which is all it is meant to represent. 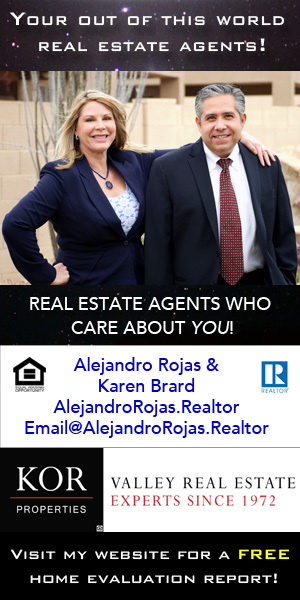 @Alejandro…noted. I disagree that this is a semantics issue, and even if that were the case, semantics gone wrong on this topic can lead people down the wrong rabbit holes. I feel strongly that this is among the reasons that people not following the topic don’t take it seriously. Every-day people WILL get hung up on things like semantics. It is; therefore, seriously important to be as accurate as possible in every way. And, just as an FYI, a quick look around the Groom Lake complex (and surrounding ranges) will give people a clue regarding some of the main purposes of this facility (i.e., research related to new sensor technologies, aircraft and related systems, energy systems and weapons, and reverse engineering of adversary systems). As a retired radar & space engineer that switched to computers, I always had a fascination with UFOs and the potential alien scenario. It all started while I was a radar tech in the USAF on an AC & W radar site on the Cambria, CA coastline. An unknown, stationary target just came out of no where around 2:00 AM in September 1957; the Ops Officer came to ask if I was working on the target simulator computer; which I was not. 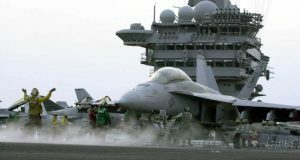 NORAD was notified, and it was believed to been a submarine just surfaced, and they were going to check with the Navy. The next night, roughly same time, the Ops Officer came into our maintenance room requesting us to fire up the height finder radar; the target magically appeared again and NORAD wanted to verify it was on the water. Well it was not, it was hovering in the air. NORAD scrambled a pair of F-89Ds interceptors out of Oxnard AFB to have a look. We increased the rotation speeds of the radars to maximum and watched on the scopes as the interceptors closed in on the target. At about 20 to 30 miles apart the target took off at an incredible acceleration and then performed an almost 90-degree maneuver and went straight up out of radar range. It was like watching a pair of turtles trying to catch a roadrunner. 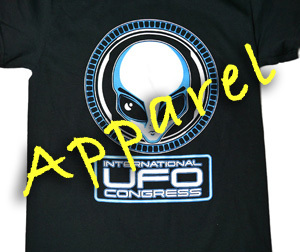 UFOs became a reality for me! Then, I thought them to be alien, not sure today. There is a huge difference experiencing the phenomenon versus just being told about some event. I went on to work on missile guidance systems, worked on three missile ranges, and was a NASA contractor at JPL working on Lunar, Mars and deep space probes missions. My passion was computers, so left all that; became a Computer Field Engineer. Today, retired, I am working on developing technology to teleport objects. I know it is impossible, but so was going to the Moon when I was in high school, and in a small way I helped them get there later, even received a commendation for Apollo 8. One needs to realize if aliens are here, they used a technology like teleportation to get here. So brings up Ben Rich famous speeches claiming ‘we have the means to reach the stars and the capability to take ETs back home’. Many states he was just joking; maybe so, you and I will never know. There is one thing we do know, when asked what propulsion system they were using, his replay was ‘do you know how ESP works?’ Mr. Rich alluded to a system operating in the same fashion as how ESP works. What is very unique here, Mr. Rich’s ESP-like system is the ‘ONLY’ system capable of reaching the stars; the ‘ONLY’ system capable of performing an interstellar space travel mission. Working on deep space missions at JPL, one needs at minimum two basic requirements: 1) near or beyond lightspeed travel, and 2) instantaneous communication capability. Without both these basic requirements, travelling lightyears away from Earth is pure ludicrous. 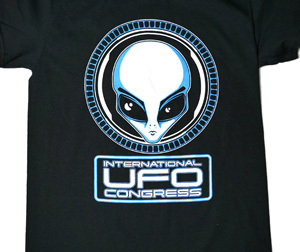 Remember Ben Rich also stated ETs and UFOs are real, both theirs and ours. Never seen an ET, but been there done that with UFO! Did I miss the BIG announcement from Tom?